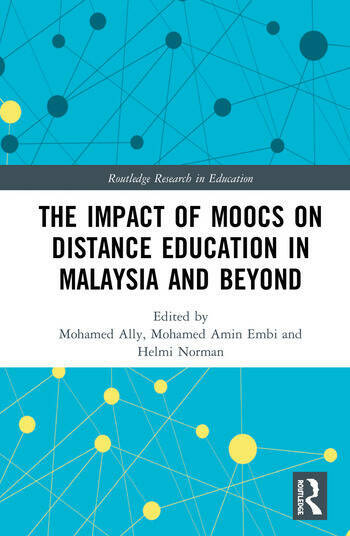 This book provides theoretical and empirical discussions around the impact of MOOCs and other pedagogical strategies for online learning in international contexts. Through discussions of inverse blended learning and other teaching and learning approaches, Part I navigates the pressing conceptual issues around global online education. By analyzing the Malaysia MOOC Initiative—the first governmental MOOC project in the world—Part II offers insight into the developmental strategies, learning design, and integrative approaches of these pioneering efforts. Edited by leading scholars in the field of globalized online learning, this volume offers a valuable contribution to research around collaborative initiatives between governments and universities, especially ones dedicated to open and distance education. 7 Are Students Ready for MOOCs? 16 Retention Rates in MOOCs: A Dilemma or A Conundrum? Mohamed Ally is a Professor in the Centre for Distance Education and Researcher in the Technology Enhanced Knowledge Research Institute (TEKRI) at Athabasca University, Canada. Mohamed Amin Embi is a Professor at the Faculty of Education, Universiti Kebangsaan Malaysia (UKM) and Director of Center for Teaching and Learning Technologies at UKM. Helmi Norman is an Assistant Professor and Assistant Dean of Teaching and Citra at the Faculty of Education, Universiti Kebangsaan Malaysia.